At work, people can need to write different kinds of essays. Amazon CEO Jeff Bezos, for instance, expects employees to write detailed 6-page memos about their plans before each meeting, and then hands them out to all attendees to read. Each essay is interesting after its own fashion because each essay has a certain purpose. 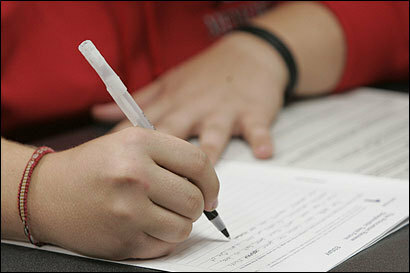 An opinion essay is one of the pretty captivating types. Its name speaks for itself. The essay dwells on your opinion concerning a certain issue. You are free to express your attitude towards a concrete problem, as well as disagree with somebody else’s point of view. Every variant is actually interesting. Certified academic writers from an essay service will discuss these professional writing tips in detail to provide you with important explanations and examples. Firstly, compile data to sustain your viewpoint. Make in-depth research to provide convincing facts. Your supporting materials should fully suit the kind of composition. You are to choose various approaches. Thus, you can use observations that can be presented in the form of a letter to the editor. Another option is to use some official study or statistics and interpret them. You cannot do without examples and approved evidence. Accordingly, this includes some possible counterclaims. Try to predict how other people would disagree with your viewpoint. Stand your ground and get prepared for counterarguments. If you show that you are ready to withstand any critic, you’ll prove that you really understand the main purpose of your research. It is necessary to consider the opinions of other people. The others also had made their own claims concerning the studied matter. You should be aware of them and use them in your project as well. You may quote some of them showing that they also support your concept. You may also show the difference of thoughts showing that somebody had other idea and he/she was wrong. Most students choose controversial themes that have been hotly debated. Take a look at the previous argumentation that was used in the past. Define how they are related to the viewpoint you protect. Show differences and similarities. Has the argumentation changed? 1) Many students complain about the dress code at school claiming that it limits their freedom. 2) A school uniform is important to maintain discipline in schoolers, as well as to show that they belong to their native school. These are two contrary positions. You should take one of them and use the opposing concept as the anchor for your arguments. Are you against the uniform? Prove that it suppresses individuality and restricts the freedom of self-expression. If you support the idea of wearing a uniform, say that it really teaches discipline and makes students feel that they belong to a family in the form of school. Take into account a transition statement. It is used to show the way your own viewpoint contributes to the previous debates. Let’s return to the theme of the school uniform. One of the obvious drawbacks is also the cost. Schoolers and their families are forced to buy it at their own cost. Such assignments as an opinion essay allow using some sarcasm. It’s not fully scientific research and students may reveal their creativity as they wish. However, you should be careful about the bitterness of your sarcastic statements. For example, some students may write “Children from families with a low income cannot afford new uniform to satisfy the peculiarities of the school administration”. Such a sentence is offensive. It offends families with a low income and insults the administration. It’s better to write more delicate sentences, similar to “Unfortunately, many schoolers from families with a low income cannot afford expensive uniforms and the administration should implement a special program to help them”. Remember that you have no right to openly insult other people. Finally, you should use supporting materials to back up your position. Set a certain tone and never change it. This will make your essay sound really professional. Avoid emotional language and expressions. You should not accuse somebody even if this matter hurts you. Use only factual examples to prove your point of view. You can beat your opponents in a calm but confident form. You are supposed to use actual facts and avoid any insults. For example, state the next position “Thanks to the price increase, many students have no possibility to purchase the required clothing. The school board ought to support such students to reach common sense and meet the needs of all parties”. To make a convincing and correct argument, you should always take into account the opinions of the opposing parties. You should understand their viewpoint too. It may not be that bad and simply have some weak points that can be used by you to win the debates. Why Retail Startups Fail Charity – Building A Business Legacy How to Register Your Business as A Sole Trader In The UK How Technology Is Changing Healthcare 10 Developments in Technology you had No Idea about The Many Faces of Mysore XIMB’s Management-Cultural Fest Xpressions Begins On 10th November Ideas For Games for Office Teambuilding How User Engagement Can Help E-Commerce What is Network Marketing and How Do Sales Skills Come into It?